In all of our work, we must consider how best to promote eight regulatory objectives set out in the Act. This document explains how we interpret these objectives as we undertake our role. As an evidence-based regulator, we decide which tools to use to address any specific regulatory issues that we identify, based on the evidence available to us. exercising other statutory powers - such as requiring the provision of information or reports by approved regulators or the OLC. 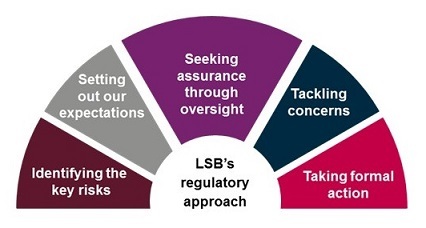 In line with better regulation principles, we expect to be transparent, consistent and predictable in what we do and have published our regulatory approach to support this. We have also published worked examples of our approach in action.